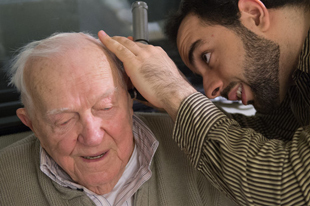 The Hearing Lab at Syracuse University is looking for participants between the ages of 45-69 years old who have trouble hearing in background noise and have not had their hearing tested. You must be a native speaker of English. We are conducting a two week field trial to assess how hearing technology could be used to help people hear better in noisy listening situations. Participants will be paid $10 per hour for testing in the hearing lab, which will take approximately three hours over two test sessions. If you are interested, or would like more information about this study, contact Jasleen Singh.